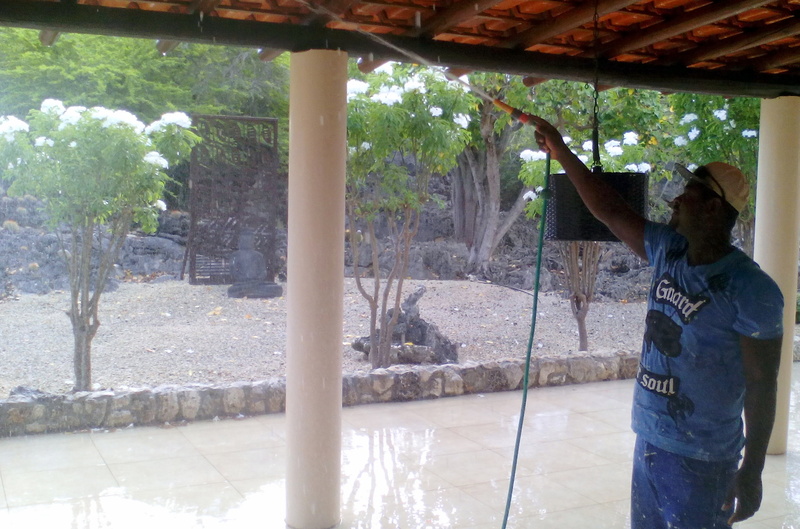 Restyling a villa on Bonaire … yes, we’re on track! As of Monday 3 July I enthusiastically started with a huge & challenging restyling of a beautiful villa on Bonaire. On September 1, the new residents will move in their own piece of ‘ Paradise on Earth ‘. I’m very proud that I was asked for this magnificent job. I target, together with the technical professionals, for a stunning end result! Enjoy the pictures as a selection of the great work we have carried out so far. Kerenza (Bonaire Island Photography) took the ‘before’ pictures. 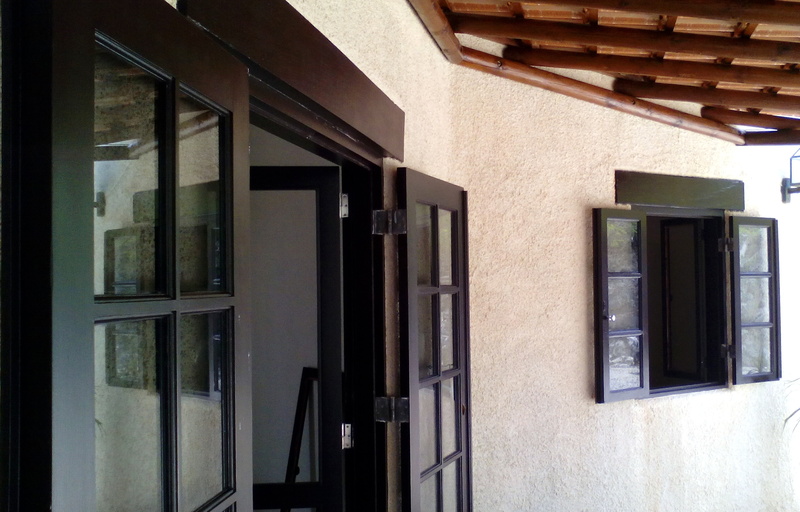 Painting the window and door (frames) from boring off white to sparklin’ brown. Cleaning the roof before painting. Renovation of the pool: from chlorine to magnesium. Adding some accents on the inside walls. Watch this video on you tube to get a ‘before’ impression. 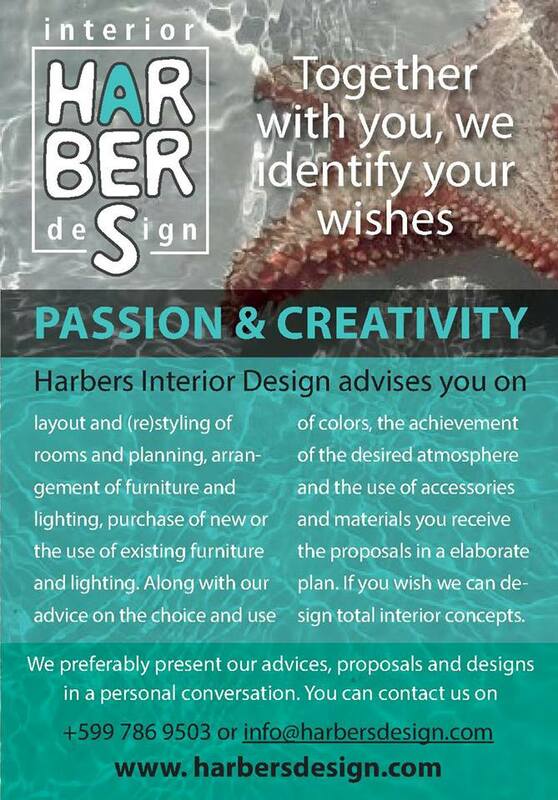 Are you also interested in interior design? Do you want professional advice? Do you want to know how I can support you?